In the mid-1990s, as an operations manager with Sprint International, I worked in Jakarta to deliver a direct X.25 expansion to PT Indosat from the old SprintNet packet switching network. 15 years ago walking around the streets of Jakarta gave the impression of despair among much of the population, with large groups of unemployed men hanging around street corners. As a relatively well-off foreigner, I drew stares of both wonder and contempt. Internet access was possible through dial-up connections through the X.25 network and a gateway to SprintLink, Sprint’s Internet network. Returning to Jakarta in 2010 is a shock. While there is still a visible dichotomy of wealth vs. low income population, the changes in Jakarta today are stark. Aside from the rapidly rising skyline, bringing back memories of Shanghai in the 1990s, the other most obvious change is the people. Everybody is going someplace or doing something. Nobody hanging around the street corners (at least from the areas of Jakarta I have traveled over the past few days), and high end shopping malls are everywhere. Jakarta is wired. Sitting in my hotel room I count not less than 20 visible WiFi connections. Along the main routes and shopping malls coffee shops are a standard fixture on just about every main street, and nearly every restaurant boasts a free WiFi connection for patrons. If you do not have the money to pay for an Internet services account, but do have a laptop computer, there is really no reason you would ever be without WiFi access within the downtown area. And throughput is very good. The World Bank reports that average access speeds for Internet connections within Jakarta hang around 1Mbps. My experience sitting in a WiFi-enabled coffee shop at the City Walk shopping center (near the Jakarta Intercontinental Hotel) gives me around 3.5Mbps on test downloads. And sitting here I could have run the same test on about 10 available WiFi networks, all serving nearby coffee shops and cafes. While you would expect the best Internet access within Jakarta, the capital city, Indonesia is aggressively working to overcome national shortfalls in Internet access around the country. As the world’s fourth most populace nation, and a geography covering nearly 2 million square kilometers, with more than 10,000 populated islands, Indonesia does face challenges. Mobile phones have shown the greatest success. With more than 140,000 mobile subscriptions, and a quarterly growth rate of 14%, Indonesians are getting connected. However, national broadband access does not share the success of mobile, with only 1.5 million people of a population exceeding 200 million having direct access to broadband – and the majority of those users are in Jakarta. The government does understand the connection between having broadband access and the potential growth of Indonesia’s economy. Tim Kelly, a policy expert at the World Bank stated in his Digital Africa 2010 speech that for every 10% increase in a nation’s broadband access, the country will experience a 1.3% increase in their economic growth. And of course those countries not hitting that number will continue to fall further behind the rest of world – a statistic that the world’s fourth most populace nation might not find attractive. The good news is that Indonesia has a very open telecom market, with several companies including Telkom, BizNet, Telkomsel, Indosat, Excelcomindo, Bakrie, and XL making huge infrastructure investments. This includes developing high capacity backbone fiber systems throughout the country, which will allow even better development of wireless and cabled communications infrastructure in rural areas underserved today. The government is also considering releasing more spectrum to wireless companies that can be used for WiMAX development, primarily in the 700Mhz and 1900/2100Mhz range. In addition, the government will also encourage mobile operators to share common infrastructure such as towers and backbone capacity to reduce the capital expense requirements for building into rural areas. This includes development of the “Palapa Rings” that will expand existing fiber plant all the way to Papua, although admittedly this will still not meet the needs of most islands, which will still need to use a combination of microwave and VSAT access to interconnect with the rest of the nation and world. Indonesia also supports use of Internet exchange points (IXPs), including the nation’s largest IXP, the Indonesia Internet Exchange (IIX) to retain most domestic Internet traffic within the country. 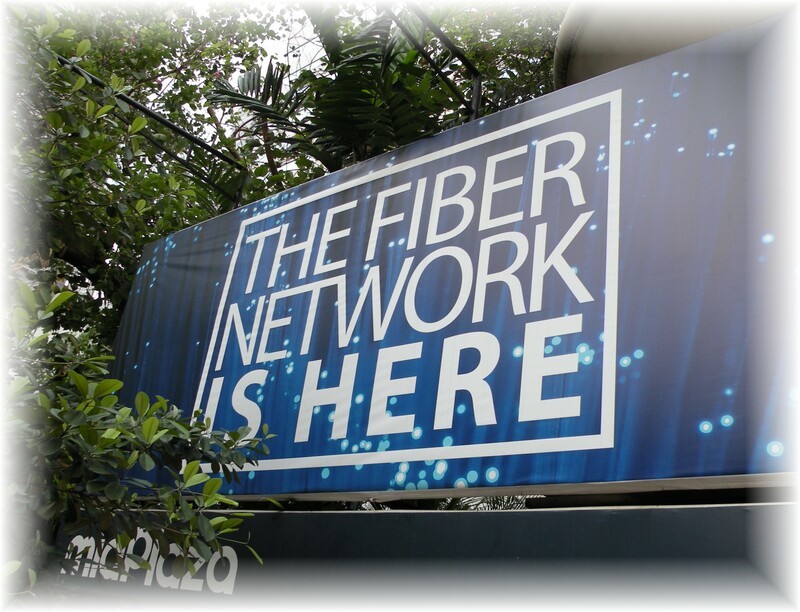 There are several smaller Internet exchange points located in larger cities throughout the country, including a private IXP operated by a large domestic fiber and Internet provider BizNet. It is easy to look at a country like Indonesia with a critical eye, and come up with lots of suggestions on how the country may more rapidly develop Internet broadband infrastructure. That is until you travel within the country and learn the true meaning of “rural.” Indonesia’s government understands the value of integrating eLearning, eGovernment, eBusiness, and eEverything into the Indonesian socio-cultural DNA. And the government is encouraging Indonesia’s private sector to invest. As foreigners looking in, we should step back and remember the Jakarta and Indonesia of the mid-1990s, and consider the remarkable development that has occurred over the past decade, and congratulate the government in its current success, while encouraging further growth. A well-educated, well-wired, and productive Indonesia is both important and valuable to the international community, and from what I have seen over the past few days the country is making great progress in meeting their goals. Good to see your are coming more often in the region. !